Zoë has a background in physical geography and environmental management and is particularly interested in the role of planning and environmental assessments in delivering high-quality development. She specialises in developing and delivering sustainability strategies for both residential and commercial developments. Zoë is our lead BREEAM Domestic Refurbishment Assessor, working on a range of refurbished residential projects around the UK to ensure a cost-effective, sustainable strategy is delivered. She is also a Licensed BREEAM UK Commercial Assessor, working closely with design teams from an early stage to ensure sustainability requirements are met on a wide variety of building use types. She specialises in preparing sustainability strategies at the planning application stage for a wide range of developments sizes to ensure that schemes are policy compliant whilst also incorporating innovative sustainability measures. 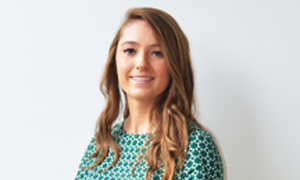 Zoë joined Hodkinson Consultancy in 2016 and is currently a Practitioner Member of the Institute of Environmental Management and Assessment and is actively working towards her Full Chartership.